Dr. Brian Moran, Medical Director for the Chicago Prostate Center, discusses the value of low-dose rate brachytherapy and its disruptive innovation in the cancer treatment field. 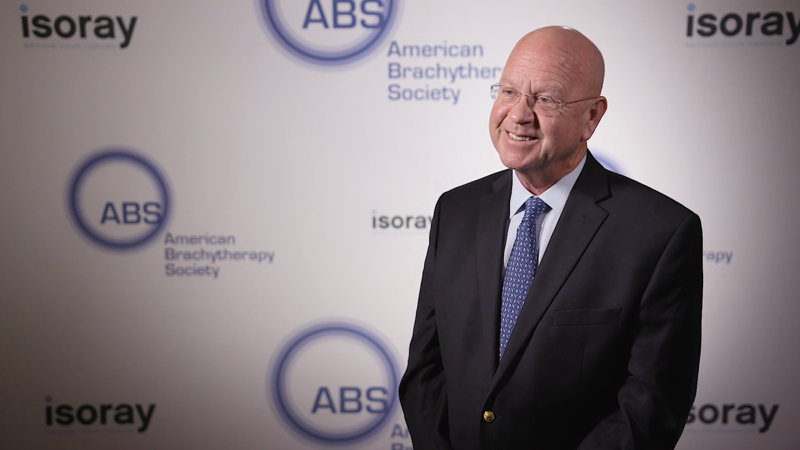 Dr. Moran stresses how important it is for clinicians to recognize the value of brachytherapy and promote it in order to carry it forward. Low-dose rate brachytherapy has been very threatening to other practice modalities in the past, yet it has endured through an environment in which it has only been promoted by the experts and community physicians who practice it. Dr. Moran explains how brachytherapy has taken full advantage of today’s technology to bring patients the best care possible and the best results. “Many of the doctors have worked hard and we’ve learned as we’ve gone,” says Moran. And he is obviously excited about what the future holds. If you would like to learn more about brachytherapy and how it can improve patient outcomes, contact info@isoray.com.